If you’re ready to start your adventure into the Kingdom of Emor, here’s your chance! All novels are available in Kindle format. The Kingdom of Emor has enjoyed thirty years of relative peace after a brutal civil war. Now, the clouds of violence hover over the horizon, and a cadre of adventurers with different goals and outlooks must take to defending their kingdom and it's ideals. They just have to find out what they believe in, first! Branden Frost is the Lord of Icebridge, a populist leader with hidden motives who is hailed as the fastest warrior in Emor; Clarice Saffron, called "Blind Justice" in honor of her fighting style, struggles with accepting her inner nature and romantic inclinations in the face of simmering religious tensions; Jacin Lancir is a novice soldier trying to find his calling, only to find that it is the most intense summons possible. These three, and many others, are called upon to save their kingdom from ancient demons, technological monstrosities, and even one of their own. In a world where monsters yield the very fuel of technology and where magic meets the body and makes it better, the normal rules of sword and sorcery go right out the window! The Kingdom of Emor has found itself in dire straights. Almost overnight, its discovered a series of internal, external, and purportedly divine forces arrayed against its continued prosperity. Its foreign rival, a semi-mythical nation called Solasce, has launched an invasion in the aftermath of a revolutionary group’s devastating attack upon its capital. Solasce attempts to create beach-heads in the Principalities of Coaslund and , but their army is far from strong enough to overcome Emor’s defenses. To top it off, a cultish army calling itself the “Saints” has pronounced Emor’s pending evisceration, led by a mysterious swordsman known only as Valin. Instead of prioritizing the foreign invaders, the Pillars Of The Kingdom are tasked with putting down the revolutionary movement. These “Four Lords” pose an immediate threat, as each one of them carries an incredible amount of power. 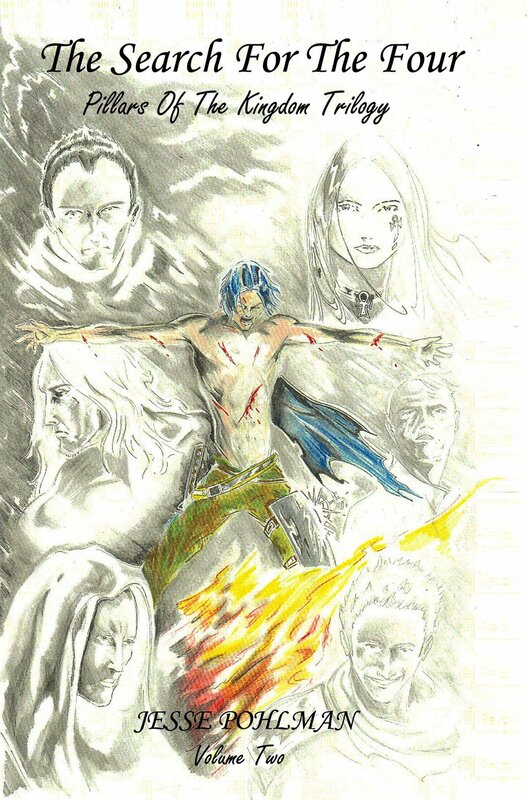 When the Pillars finally locate and engage with the Four Lords, their true leader - Aubrey Castrell, the rightful lord of the Principality of Ralase, adopted child of Serge Lenkman - leaves his adopted brother Branden Frost with a choice to make: Will he remain loyal to the Kingdom, or will he embrace his inner idealist? 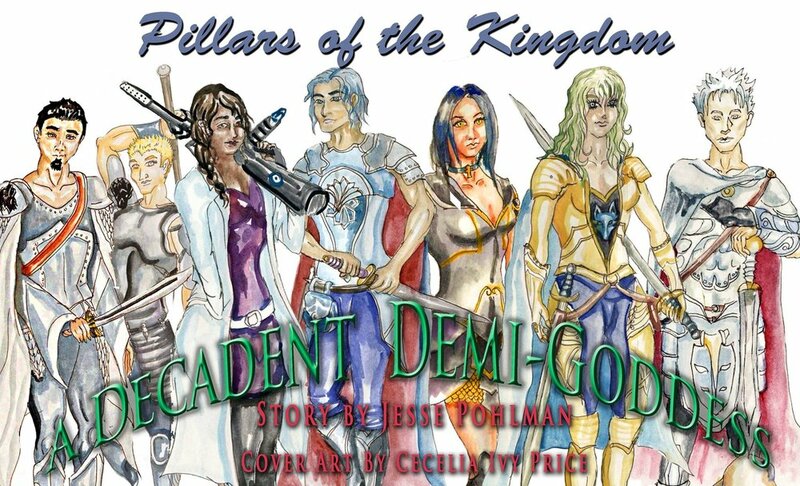 Purchase Pillars Of The Kingdom, Volume Two, For Kindle! After bringing Aubrey Castrell to justice, the Pillars Of The Kingdom are given their next assignment - they will help lead the invasion of Solasce’s homeland. While Branden reconciles with his adoptive father’s death, Jacin gets dragged to a bar by Charles and Clarice in order to improve his ‘skills,’ a jab at his greatest weakness - his lack of confidence. Once the team has had one last glimpse of normal life, they are air-lifted to Solasce, where their goal is to prevent them from activating any weapons of mass destruction. Far from a routine mission, their work gets even stranger when they find that Solasce’s top military brass seems to have left their most vital assets under-defended. Once they discover the truth about why their enemies seem to offer no resistance, however, they are left with a choice that could save - or doom - their entire world. The deadly Apostle Valin is on the verge of victory, and with the Kingdom’s casualty list growing, there’s little time for them to decide.